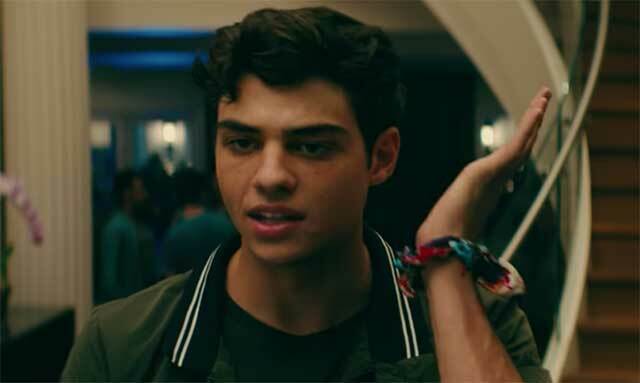 Peter Kavinsky is officially a boy I loved before. "He's the silly-love-note writing, making-out-in-the-hot-tub, saving-you-a-seat-on-the-bus-to-the-ski-trip man you've probably seen your girlfriend lusting over on Twitter. At last, with the help of Netflix, we have our new type: the wholesome man." Warning: Chilling Adventures of Sabrina spoilers beyond this point. But hold up one minute. Netflix just introduced a new adorabro for us to lust over: Harvey Kinkle. Perhaps the only squeaky clean aspect of the dark supernatural drama CAOS, Harvey (played by former Disney Channel Austin and Ally star Ross Lynch) spends the entirety of the series supporting his very real girlfriend Sabrina Spellman (Kiernan Shipka). And he does this even though he comes from a family of witch hunters and she repeatedly lies to him, erases his memory, and kinda sorta turns his older brother into a zombie, forcing Harvey to shoot him. More on that later. 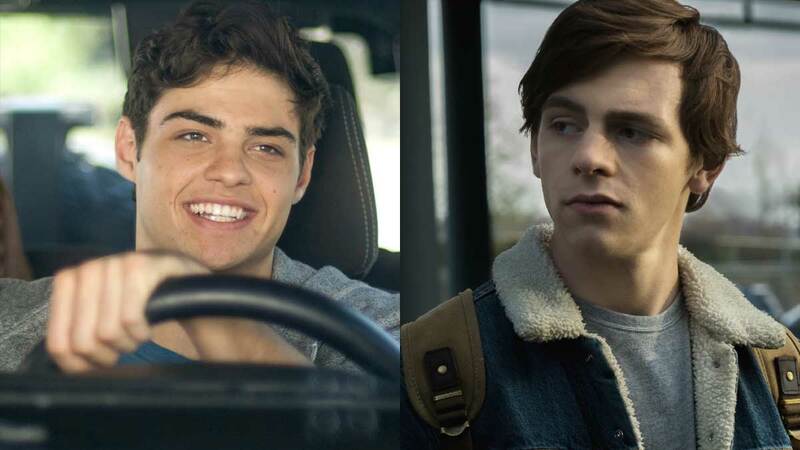 After finishing all ten episodes of the spooky series I've come to the probably controversial conclusion: Harvey Kinkle is a much better boyfriend than Peter Kavinsky. Allow me to break it down. 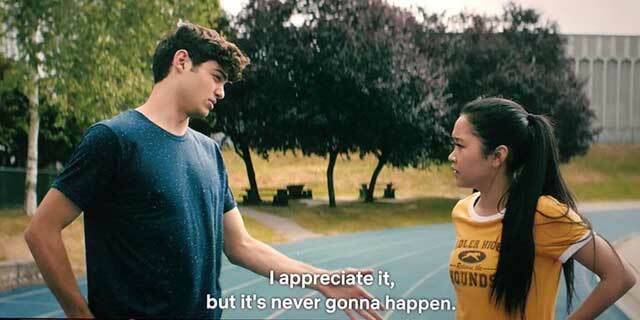 The entire premise of TATBILB is that Peter Kavinsky convinces Lara Jean to date him in order to make his horrible ex jealous and so LJ doesn't have to face the consequences of the awkward love letter she wrote about her sister's boyfriend. Pretty even split I guess, but their encounter began with Peter telling Lara Jean in no uncertain terms that "it was never going to happen" between them and making fun of her fake relationship contract. Throughout their tryst—though he does exceedingly adorable stuff like write Lara Jean notes, driving her and her little sister to school, and travel across town to pick up her favorite "yogurt smoothie" Yakult from the Korean grocery store—he also meets his ex-girlfriend Gen for lunch, texts her constantly, and is actually kind of shady. I'd also like to point out that Gen is an awful mean girl and I find it hard to imagine a guy who'd be into a bully is a completely swell dude. Meanwhile, Harvey Kinkle over in Greendale seemingly has no interests aside from throwing 'Brina (cute) the best Halloween/birthday party ever and spending as much time with her as possible. HARVEY HANGS WITH SABRINA'S FRIENDS. The first episode of CAOS starts as one big group date between Harvey, Sabrina, and her best friends Rosalind (Jaz Sinclair) and Susie (Lachlan Watson). Throughout the series, Harvey attempts to help Susie with her bullies, supports their feminist book club, and attempts to investigate Susie's possessed uncle even when Sabrina is off doing God knows what (a.k.a. lying and witching without him). Peter Kavinsky, instead, integrates Lara Jean into his friend group but makes no effort to talk to her friends. To be fair, it's unclear if Lara Jean has any friends apart from that girl who loves Subway and keeps skipping class. EVEN WHEN HE HAS EVERY RIGHT TO BE FURIOUS WITH SABRINA, HARVEY IS NEVER CRUEL. Now, let's take a look at the big fight between Harvey and Sabrina. In episode eight, "The Burial," Harvey's older brother is killed while protecting him when the mines they work in collapse (through some pretty dark voodoo magic by the weird sisters). Note, while waiting for news about his brother's condition, Harvey is not so shocked and terrified that he'll let Sabrina be cold and he gives her his jacket (awwwww). Hoping to save Harvey from the loss of his brother, Sabrina performs a resurrection ritual that goes completely awry. Tommy is brought back lifeless, his soul gone for good and a sort of zombie attack dog left in his stead. Sabrina comes clean to Harvey about everything (including the revelation that she'd already told him she was a witch and then erased his memory) when she realizes the only way to set it right is to kill the thing Tommy has become. Harvey insists on doing it himself and is forced to shoot the thing wearing his brother's face. Devastating, right? HARVEY NEVER FORCES SABRINA TO TAKE OFF HER FAVORITE SCRUNCHIE, THEN LET HIS EX STEAL THAT SCRUNCHIE, AND NEVER MAKE A SINGLE ATTEMPT TO GET IT BACK. That's really all I have to say about that.